Regarding the generosity of our giving, 2 Corinthians 9:6 says: “He who sows sparingly will also reap sparingly, and he who sows bountifully will also reap bountifully.” Are you sowing sparingly or bountifully? Consider some lessons we can learn from this illustration. To Have a Harvest We Must Sow Seed. Galatians 6:7-9 – Whatever a man sows, that he will also reap. For he who sows to his flesh will of the flesh reap corruption, but he who sows to the Spirit will of the Spirit reap everlasting life. And let us not grow weary while doing good, for in due season we shall reap if we do not lose heart. “Sowing to the Spirit” represents doing good deeds so we may receive the harvest of eternal life. 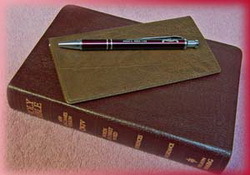 The good works we must practice life are revealed in God’s word (2 Timothy 3:16,17). We cannot reap the harvest of eternal life without sowing the seed of good works. What We Reap Depends on What We Sow. Galatians 6:7 – “Whatever a man sows, that he will also reap.” The seed is our works, but there is both good seed (good works) and bad seed (evil works). And both kinds of seed reproduce after their kind. Good seed leads to eternal life and bad seed leads to corruption. We receive according to the things done in the body, whether good or bad (2 Corinthians 5:10). Hosea 10:12 – Sow for yourselves righteousness; reap in mercy; break up your fallow ground, for it is time to seek the Lord, till He comes and rains righteousness on you. We must plant the seed of good works in our lives without mixing it with evil. God is not mocked: we will reap as we have sown. The Amount of Harvest Depends on the Amount of Seed Sown. 2 Corinthians 9:6 – In regard to giving, one who sows sparingly will reap sparingly. One who sows bountifully, will reap bountifully. Generally, the more ground a farmer is able to properly cultivate, sow, and fertilize, the more crop he receives. If he does little work, he will have little crop to show for it. The lesson to be learned: We will reap as we have sown. If we want a bountiful harvest in the judgment, we must work abundantly now. But what harvest do we want at judgment? Eternal life! (Galatians 6:8). Is that a bountiful harvest or a sparing one? Can we reap eternal life by being cheap and stingy in our giving? Are we sowing sparingly or bountifully?